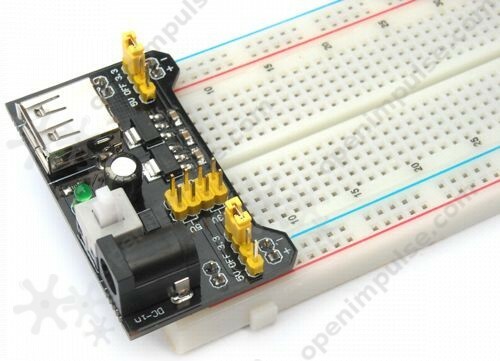 The breadboard power supply takes power from the USB or from a power adapter and contains both a 5 V regulator and a 3.3 V regulator, being ideal for your prototypes. Here is a very simple breadboard power supply kit that takes power from a DC wall wart and outputs a selectable 5V or 3.3V regulated voltage. The 1" headers are mounted on the bottom of the PCB for simple insertion into a breadboard, so that the pins labeled VCC and GND are plugged directly into the power lines. The lone pair of pins have no electrical connection but help to support the PCB. There are two pins available within the barrel jack footprint. Any stripped +/- DC supply can be connected instead of the barrel connector. 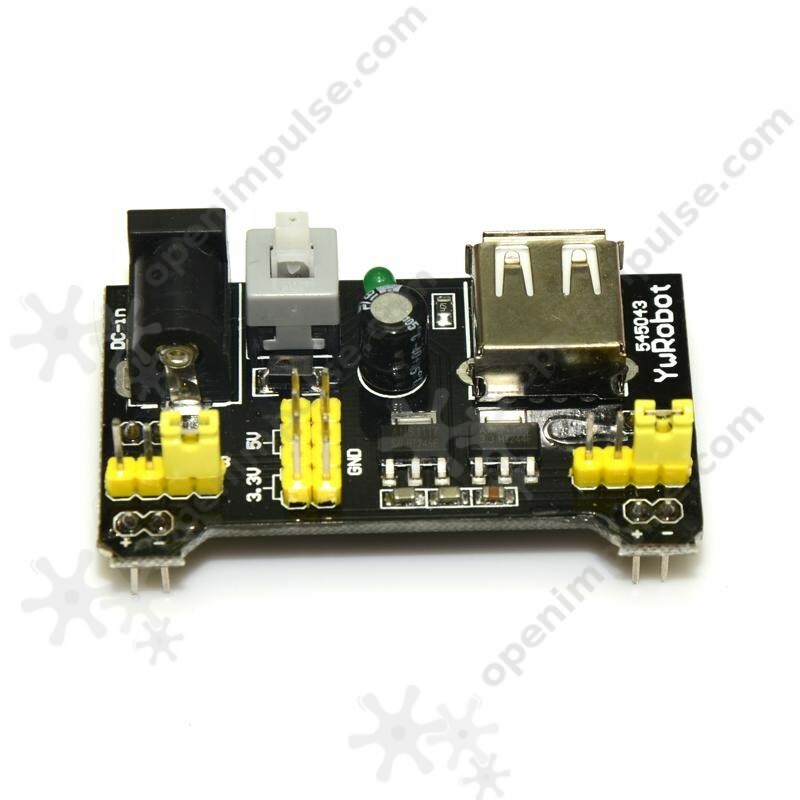 Board has both an On/Off switch and a voltage select switch (3.3 V / 5 V). It is versatile and fits most of the breadboards. 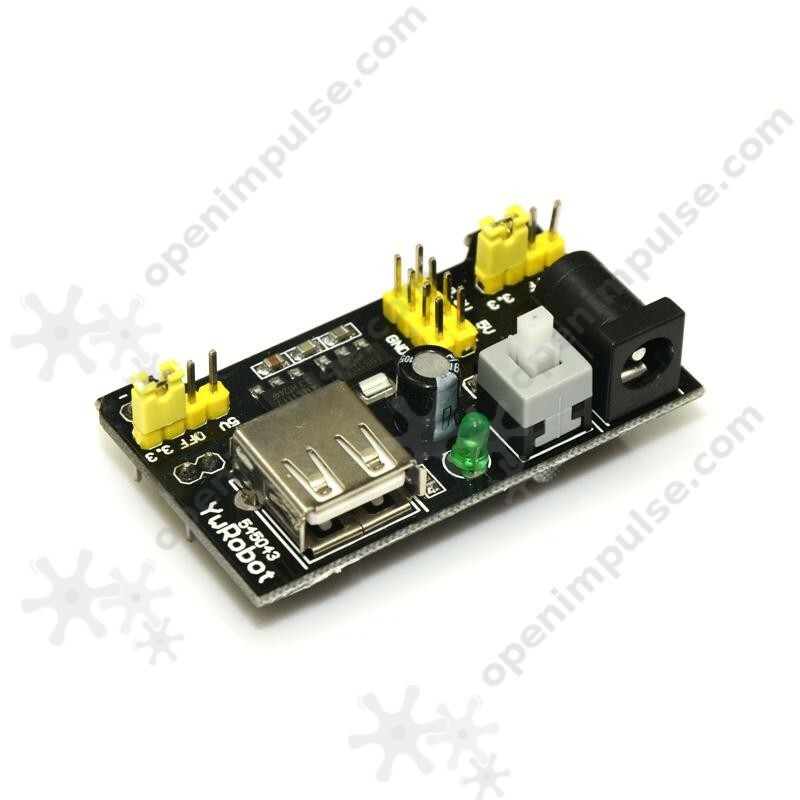 You can use it to power your custom microcontroller projects, or as an auxiliary supply for the 3.3 V sensors from your Arduino projects.